Going off of the trailer, Ben Affleck’s new thriller The Accountant seems to be starting from a potentially laughable premise—a guy uses his autism to become the world’s most dangerous money launderer/killer of men, like a blood-soaked Rain Man—and taking it intensely seriously. It helps that director Gavin O’Connor (Jane Got A Gun) managed to find a pretty hefty stack of talent with which to surround Affleck, including Anna Kendrick as the woman who ends up embroiled in his schemes and J.K. Simmons as the federal agent pursuing him. If you’re living in Chicago, though, you can judge the film’s merits without having to drop a single taxable dime. All you have to do is head to this link, click “Get My Passes,” and you’ll be signed up for an advance screening of the movie, scheduled for Tuesday, October 11 at 7 p.m. at Chicago’s Showplace ICON theater on Roosevelt. 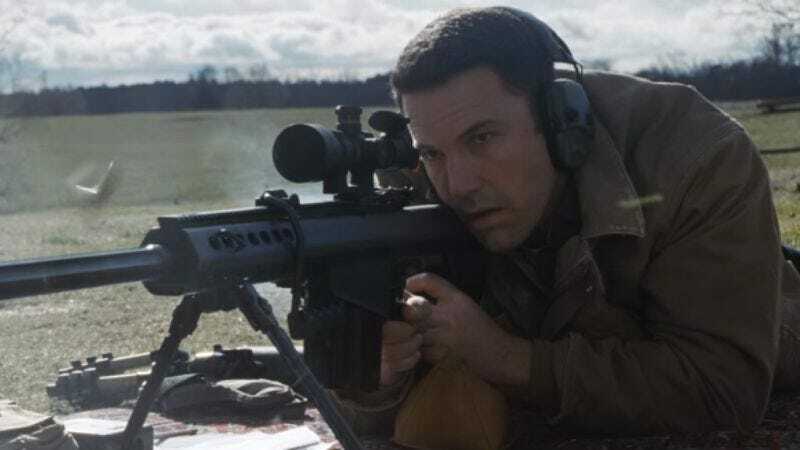 Note, though, that these advance screenings always overbook, so if you want to ensure that you actually get to see Ben Affleck deduct all the blood and brains out of a bunch of shady bad guys with a sniper rifle, be sure to get there with plenty of time to spare.